If you need electricians in Hampshire, we guarantee to provide you with a professional service. Our staff have years of experience and are fully qualified, so whether you’re in a domestic, commercial or industrial environment, we will be able to help you. We fully inspect the property to discover the severity of the problem so that we can give you an accurate estimation of the costs. With JTB Electrical, no job is too big or too small. JTB Electrical are proud to be found on the electrical safety register. Each member of our electricians are fully qualified and comply to section P of the Building Regulations, so you can be at ease in the knowledge that you are getting your moneys worth. We care about how you feel; our staff are all friendly and aim to provide excellent customer service with as little inconvenience to you as possible. How your property is inspected? We test everything necessary for the job in hand. Whether your switches need testing or cells under discharge, our team will be able to conduct the right tests. All of the testing is video recorded with a thermal imagery camera to highlight high temperatures. Using this technology, we can gain another perspective on the problem. We also test for the correct use of electrical appliances for rental properties if required. What JTB Electrical can do for you? Solar panels are a great, renewable energy source that could save you money on energy bills. They work by converting sunlight into electricity with specialized cells called photovoltaics. We are able to fit Solar panels for your property quickly and efficiently as no planning is required to get solar panels; resulting in no time being wasted. No matter the design of the building, solar panels are possible to install so you don’t have to worry. Our electricians are able to install both hard wired and wireless security systems to your property. We often install the visonic wireless security system to allow you the ability to receive phone calls when your property is at risk. We understand that you might have a different security system in mind and we will happily install it for you. We are also able to install fire systems for you which could be powered by the mains with battery backup. For our lightning protection package we do not hide any costs from you. We will design an efficient lightning protection system for your property and install it for you when you are happy. When fully installed our team will then inspect the system and ensure it’s safe. 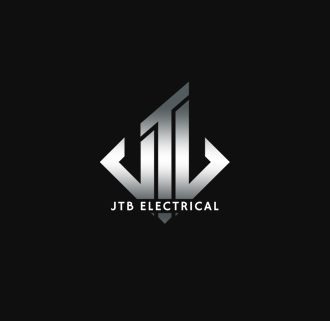 JTB Electrical is a forward thinking team of professional electricians recognised by the Electrical Safety Register. Hampshire is one of our main are of practice, working in Southampton and the surrounding areas. No job is too big or too small, so any job will be possible from domestic security fittings to building constructions.